I can tell summer is over, not from the weather or the calendar but when my commute returns to the progressively worse effed up state it was in prior to summer. That’s not to say that summer offers much of a break from it, but even a 10% improvement is noticeable. I live in Los Angeles and my commute includes what has been ranked as the #1 worst freeway bottleneck in the whole nation. It’s amazing to me as a geek to watch the advancements in technology from my Atari 2600, as a kid to my first brush with a computer the Radio Shack TRS-80, to how online has changed from the single line BSS’s when I was a kid to where we are today. How is it though that ground transportation hasn’t really gone anywhere in that same timeframe? It’s amazing how much of our lives are consumed moving from point A to point B nowadays at a speed that is even slower than it was 10 or 20 years ago. We’re actually going backwards. The only saving grace to help with this antiquated non-innovative transportation issue are the technology innovations like, GPS, realtime traffic, and mobile phones which provide some comfort by letting us listen to podcasts or frikkin audio streams beamed over the air. Being a geek I’m amazingly happy to have grown up during the emergence of computers and the web but I find this lack of innovation in transportation logistics or technology amazing and don’t see how it’s going to improve anytime soon. I think what this all boils down to is that I’m pissed that Back to the Future was a lie. 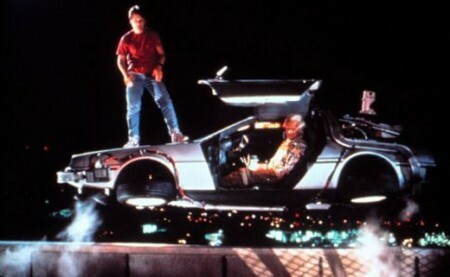 There’s no way in hell we’re going to have hover cars in 2015.